Hey, where'd you'd get them peepers? That's a pretty valid question, considering your eyes look like they've been drawn by a talented cartoon artist! They're just so big and mesmerizing, it makes us wonder if you are in fact a cartoon that has sprung out from the television. The extra round and expressive green pupils will make you look like everyone's favorite feisty Powerpuff Girl, Buttercup! Now you can complete your Buttercup costume to fully look like a hand-drawn illustration from Cartoon Network. These Powerpuff Girls glasses are very circular and clear so they won't distract from the rest of your costume, but they will make you look like a true animated creation. The tiny holes in the lenses will allow you to easily see out so you can hunt down the elusive Mojo Jojo with the rest of your crew. 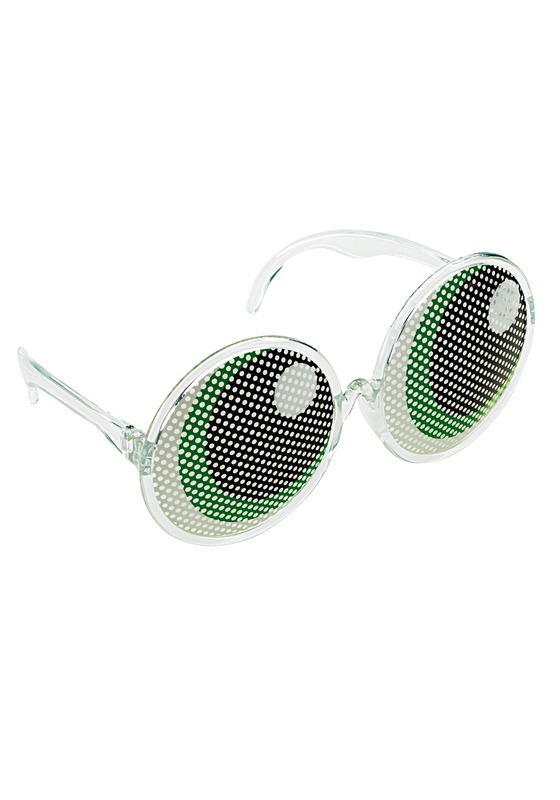 If you're looking for an "eye-popping" accessory that will take your costume from 2-D to 3-D, then these glasses will most certainly do the trick!